Yesterday, we breezed over a few miserable hymnals. But people stopped singing about God in the 1930s. Instead, they simply thanked him in their Grammy acceptance speeches. 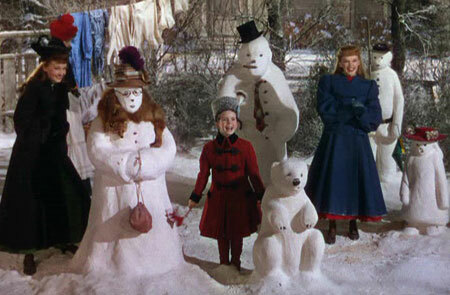 Today we look a some of examples of the latter day melancholy Christmas classic. Whether it’s performed with earnest yearning or with grim fatalism, Have Yourself A Merry Little Christmas is a desperately sad Christmas song. The optimism in the line “Next year all our troubles will be out of sight” never sounds so unconvincing as when Judy Garland’s Esther Smith sings it to her little sister Tootie in Meet Me In St. Louis (Vincent Minnelli, 1944). Perhaps Judy was thinking at the time of Hugh Martin’s original lyrics: “Have yourself a merry little Christmas – it may be your last – next year we may all be living in the past”. Yeeks! Thankfully, these lyrics were altered and it became a song about the hope that Christmas engenders, even if you’re a spoilt rich white midwestern girl who’s biggest concern in life is that she has to move to NEW YORK CITY WITH HER RICH FATHER. Pah! 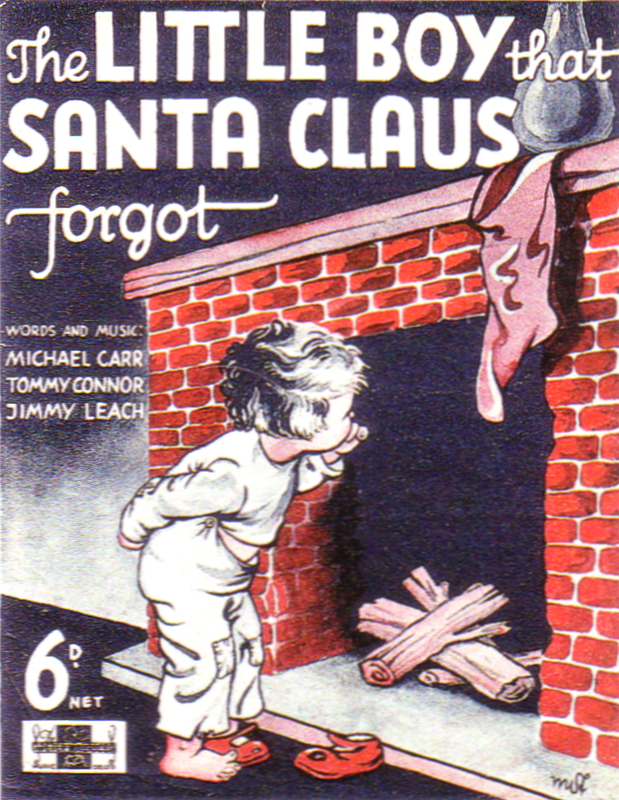 Even before that movie, the most remorselessly miserable Christmas song was recorded in 1937 by Vera Lynn and later, more memorably, by Nat King Cole in 1953. The story is thus: The little boy didn’t want a lot – just some soldiers and a drum. Santa didn’t bring them and it broke his heart. All his friends got what they wanted but he’s left with the broken stuff from last year (probably broken in a fit of rage by his abusive, alcoholic mother, but this is only implied). Then, eat this lyric: “I’m so sorry for that laddy – he hasn’t got a daddy”. That taste in your back of your throat isn’t eggnog – it’s your own heart crawling up your oesophagus, trying to escape the horror of your retching gut. Look at the boy there on the left. He’s looking up the chimney. He’d be lucky to get a faceful of soot. The Christmas Blues has never sounded particularly melancholy to me, perhaps because it heaps on the sentiment, rather than implying it. Or maybe because it’s generally sung by smarmy, permanently chipper lotharios like Dean Martin. 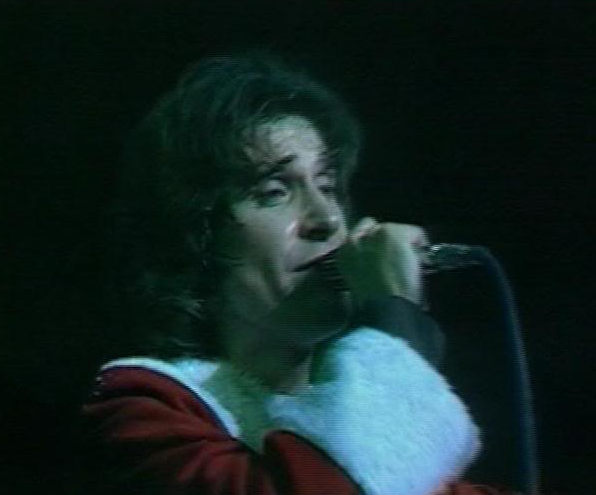 The Kinks (Ray Davies there, on your left) followed in the footsteps of The Little Boy That Santa Claus Forgot with their song Father Christmas, in which a gang of kids mug a department store Santa asking for, respectively; money, a job for their daddy and a machine gun, instead of toys. Again, it’s pretty remorseless – from Mick Avory’s machine-gun clatter on the snare drum to Ray Davies’ final, a capella reminder to “remember the kids who’ve got nothing while your drinking down your wine”. But Ray – are there no prisons? Are there no workhouses? The ‘Me’, ‘I’, and ‘This’ generations tended to indulge in shallow introspection compared to the melancholy troubadors of yore: see Mud’s Lonely This Christmas in 1974, an affectionate send-up of the songs from Elvis’ mostly melancholy Christmas album of 1957 which dips its foot into the hot bath of irony, jumps back from the bath and runs screaming, hysterical, naked into the cold streets in very unironical fashion. Jona Lewie offered up perhaps the most bizarre miserable Christmas classic with Stop the Cavalry in 1980 (see below) – a sort of anti-war, ‘missing you’, transcendent Christmas card, featuring the unequivocal line ‘Mary Bradley waits at home in the nuclear fallout zone’. 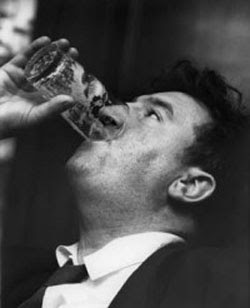 Wham!’s mopey ski-pop classic Last Christmas was released in 1984, while The Pogues’ Fairytale in New York was born in 1987 – sounding like a torn out page from a Stephen Crane novel sung by Brendan Behan (left) at 6am on a Sunday morning. Yes, heartbreak, rejection and loneliness were never more keenly felt by modern songsters than around the winter solstice. Darlene Love’s baby left her in 1963 and she was still All Alone On Christmas in 1992, poor girl. Tomorrow, Part 3 will take a quick glance at what is, to my mind, the most (and best) melancholy Christmas classic of all time. Here’s Jona to play us out. Great gun throwing.